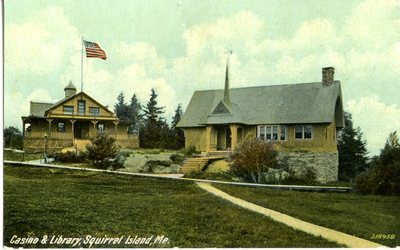 "Squirrel Island, Maine, Casino and Library Postcard "
An image scanned from a postcard of buildings identified as a casino and library in Squirrel Island, Maine. Printed by the Leighton and Valentine Company in New York City. No date was printed on the postcard.